We’re down to a matter of days, now! So far we’ve had some great submissions, and we expect even more as the deadline approaches. Since the deadline is Friday the 31st, I’ve decided to keep submissions open until midnight on Sunday, February 2. Closing the submission window right before a nice, meaty weekend of revision time just didn’t feel right, so congratulations…you’ve got yourself another 48 hours to craft one hell of a terrible video game novelization. Read the rules here, and get to work! If the submissions so far are any indication, you’ll be in great company. And stay tuned here…because we should have lots of news relatively soon, including the grand reveal of our final cover. If you still haven’t started your submission, don’t fret. The Worlds of Power series practically cries out for a half-assed rushjob. 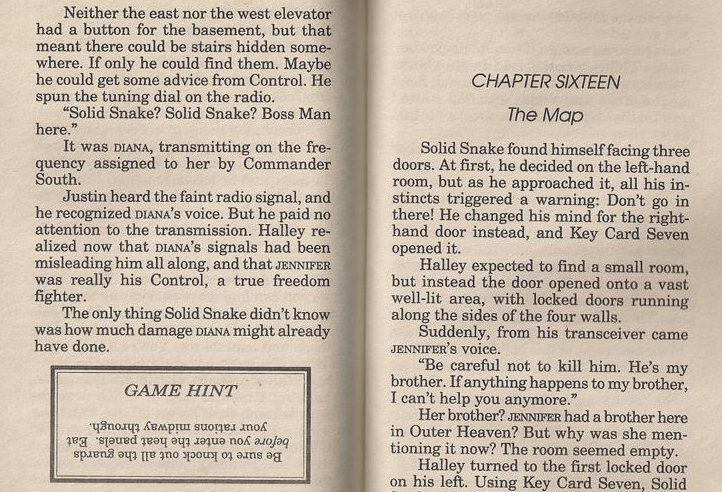 Just think about which NES game you’d like to novelize, and then mishandle it as thoroughly as possible. Updates to come. If you have submitted something to me and have not heard back…then I didn’t get it! I’ve replied to every submission so far to confirm receipt. If you didn’t hear back from me, get in touch! Email, comment below, anything. But let me know, because that means it never made it to me! I checked out that WoP download for MegaMan2. By page 3, I was already planning to cut myself. BUT – I will give props to the guy for recommending books that were not his own at the end of that shitstorm of a “story”. It’s pretty obvious that he wanted kids to read, even if his own work was pretty lousy. Ha! Revisioning! Good one. I’ll be surprised to find I spelled my main character’s name consistently throughout.